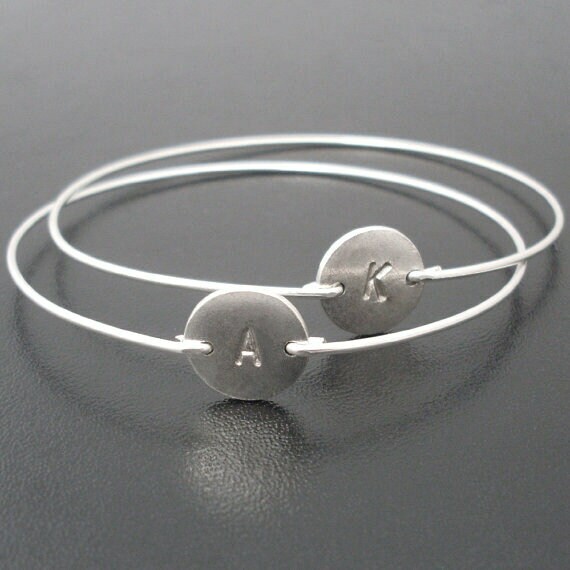 Select either cursive font or typewriter font for your set of 4 bridesmaids bracelets from ordering options. 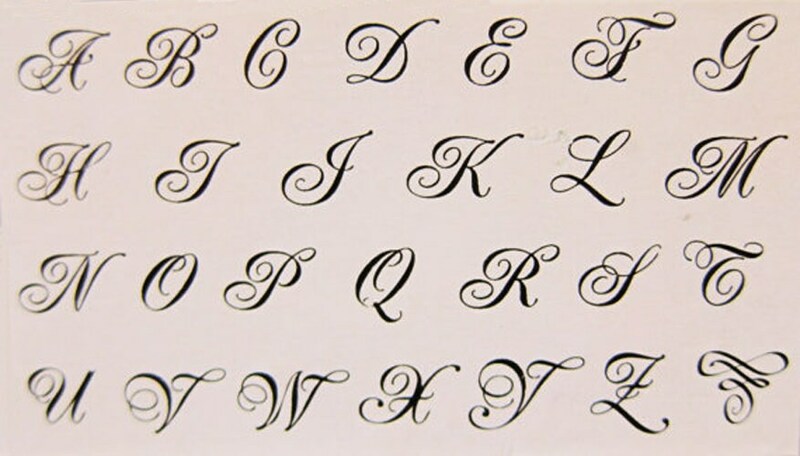 Select if you want initials darkened (to create more contrast with the metal) or if you want the initials stamped clear in the color of the metal. 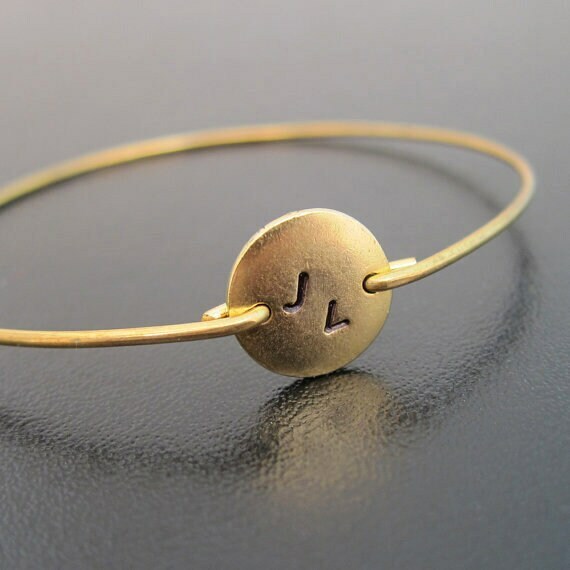 Select bangle bands in brass or 14k gold filled to be paired with gold plated discs-- or select bangle band in silver filled or sterling silver to be paired with silver plated discs. 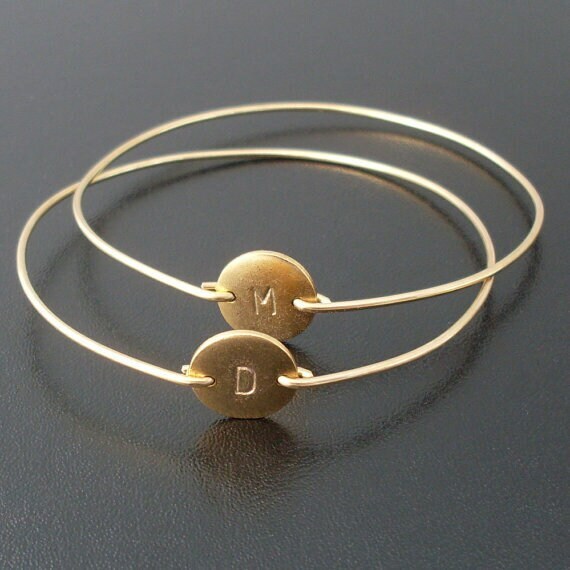 These personalized bridesmaid bangle bracelets created and hand crafted with great care and love for you and yours. 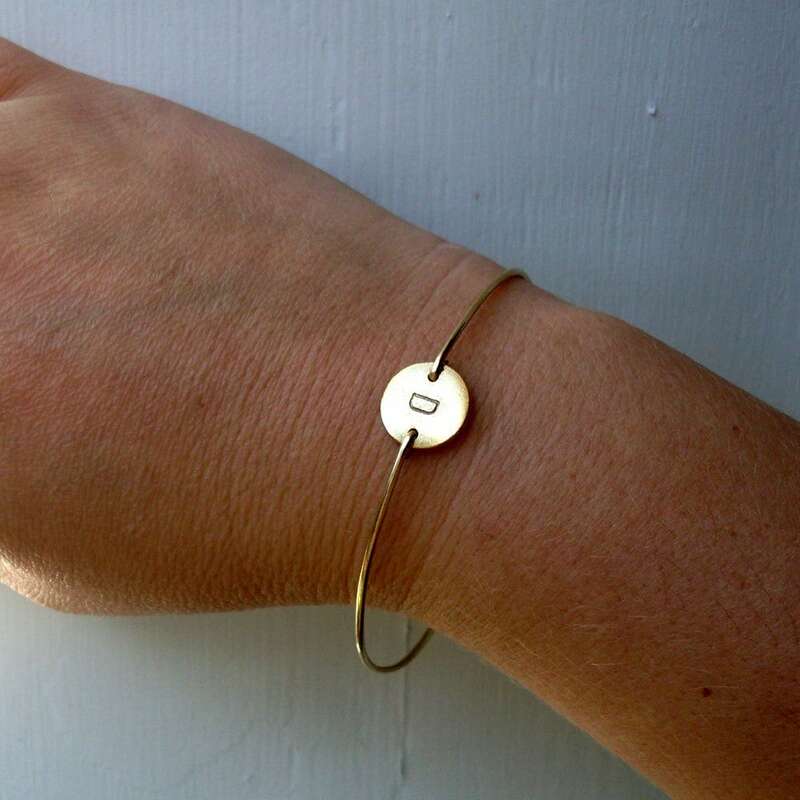 All of my items including these bridesmaid gift bracelets are special handmade creations that are original Frosted Willow designs and concepts... 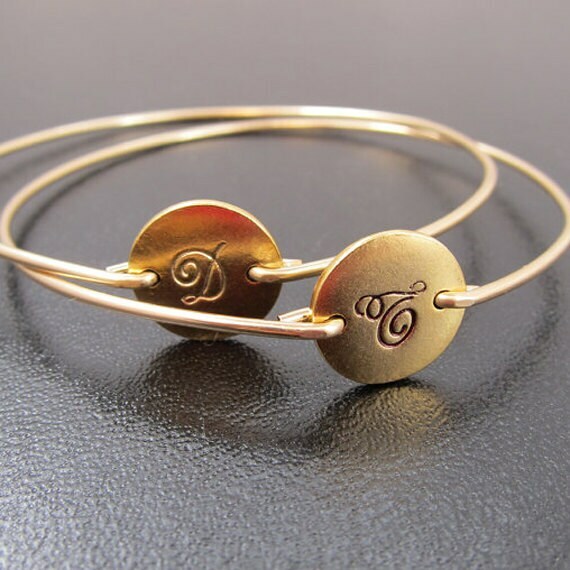 I hope you love your set of 4 bridesmaid gift jewelry!